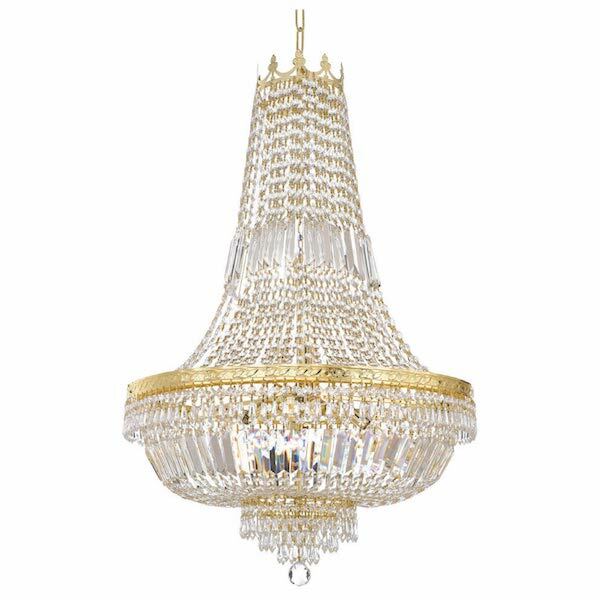 If there’s one lighting item on my wishlist, it would have to be a crystal chandelier. 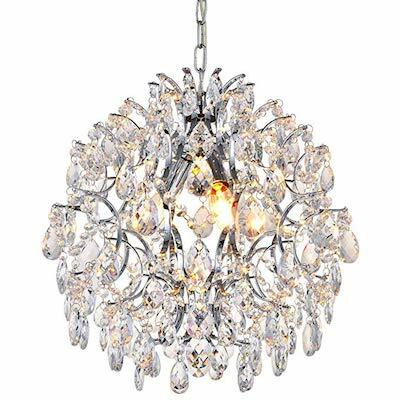 Crystal chandeliers are most often associated with Versailles, specifically the famous Hall of Mirrors. 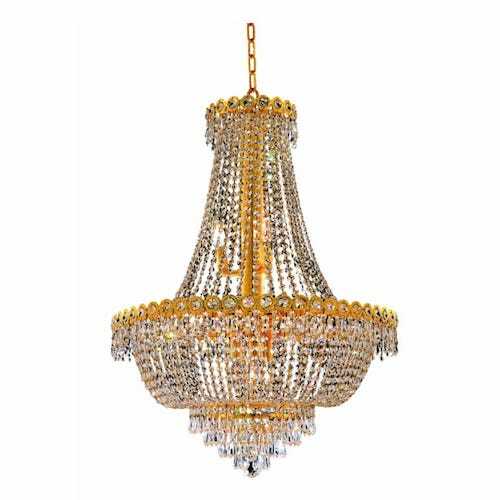 Many French palaces and chateaux are flanked with these massive crystal beauties, illuminating their enormous living rooms, hallways, and every other type of grand room they have in a palace! 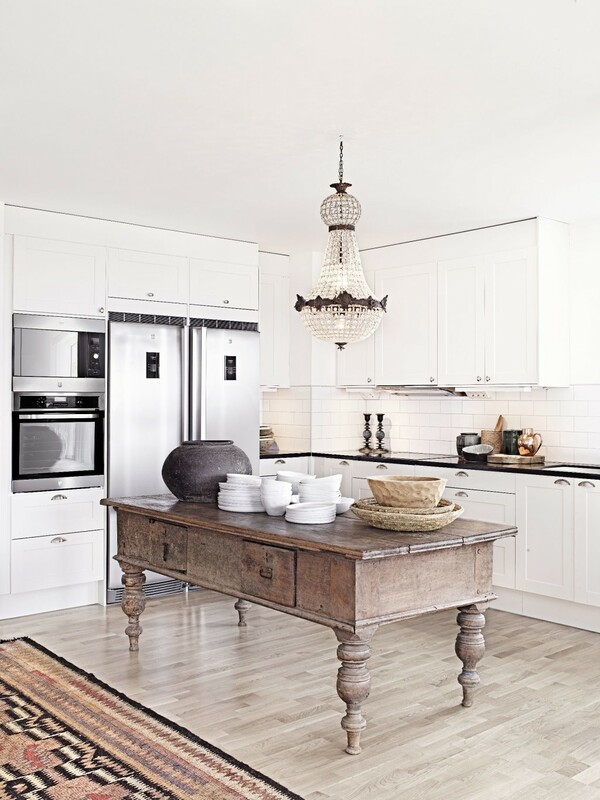 They’ve also become quite popular in contemporary homes as a way to add a bit of elegance and old-world charm to any home. 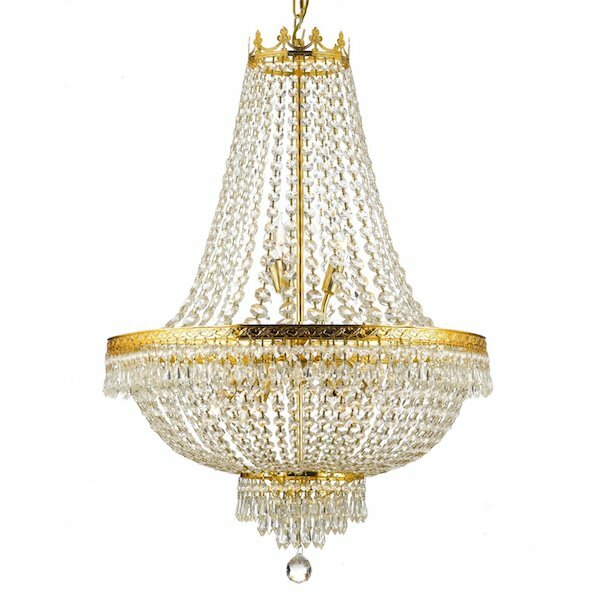 The most opulent ones are known as French Empire crystal chandeliers, referring to the history of the French empire decorating their homes with these chandeliers as a sign of wealth and power. They are also called “basket chandeliers” because of the basket that is formed by the iron ring which held the candles at the time of their creation before electricity existed. 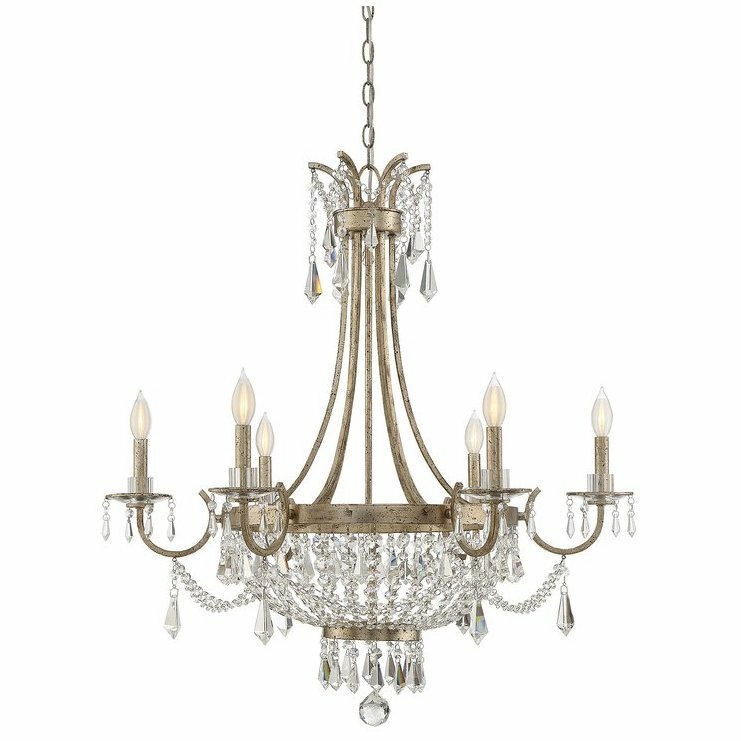 Unsurprisingly, in the 17th century, French empire crystal chandeliers were reserved for the nobility and the wealthy few! As mentioned, the Hall of Mirrors in the Versailles palace of France is a great place to get a glimpse of original lead crystal chandeliers. 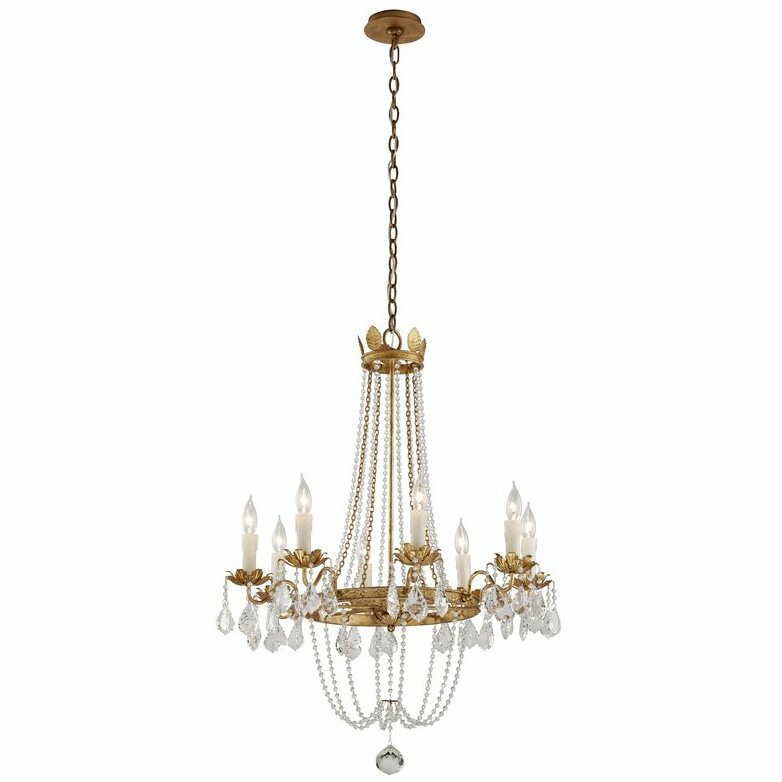 One of the earliest producers of French chandeliers was Baccarat, founded in 1764 when King Louis XV gave a bishop in Metz permission to establish a glassworks production facility in the small village of Baccarat in eastern France. 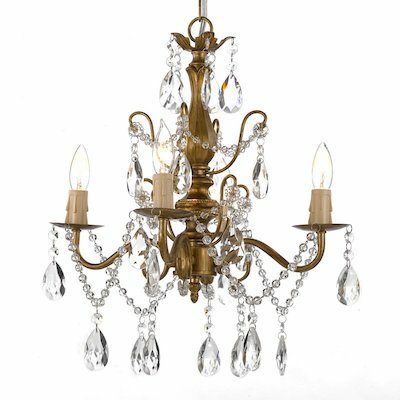 Baccarat remains one of the leading luxurious producers of French crystal works to this day. 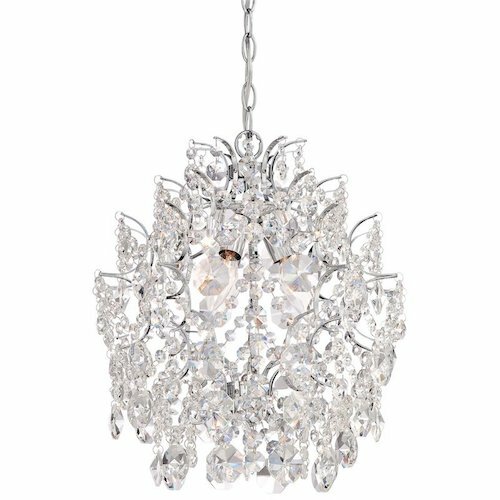 Now, these crystal chandeliers might scream “I’m expensive and out of reach” and that isn’t entirely false, but I was happy to see that you can get the look of a crystal chandelier for a very affordable price, especially if you’re willing to compromise on size! 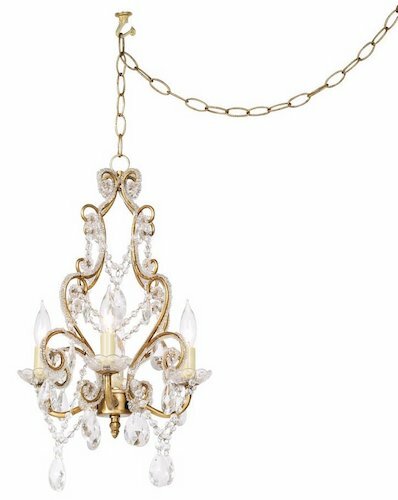 A quick search on 1st dibs for an authentic French crystal chandelier shows that these babies can go for the tens of thousands of dollars, with some reaching into the six-figures. 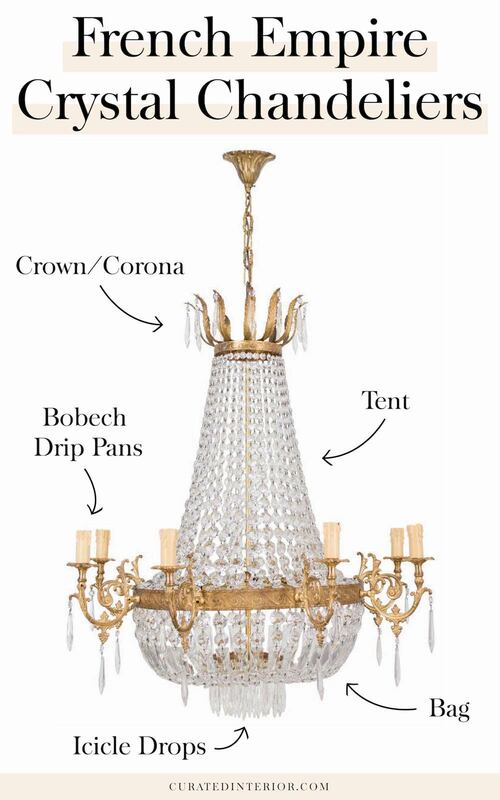 Where does a Crystal Chandelier even go? That’s a great question. For starters, I would say: everywhere. 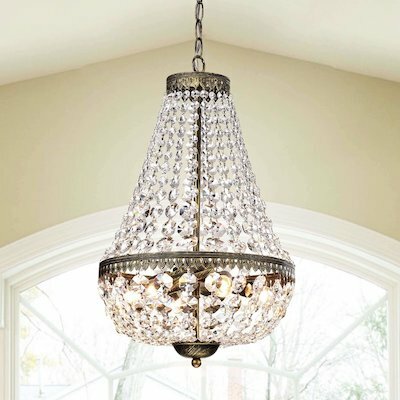 Not kidding, I’ve come across crystal chandeliers in just about every room in the house!! I shared a home tour recently where Finnish blogger Alexa Dagmar has a crystal chandelier in her living room, office, bedroom, and even her closet – proving just how timeless and elegant this chandelier really is! 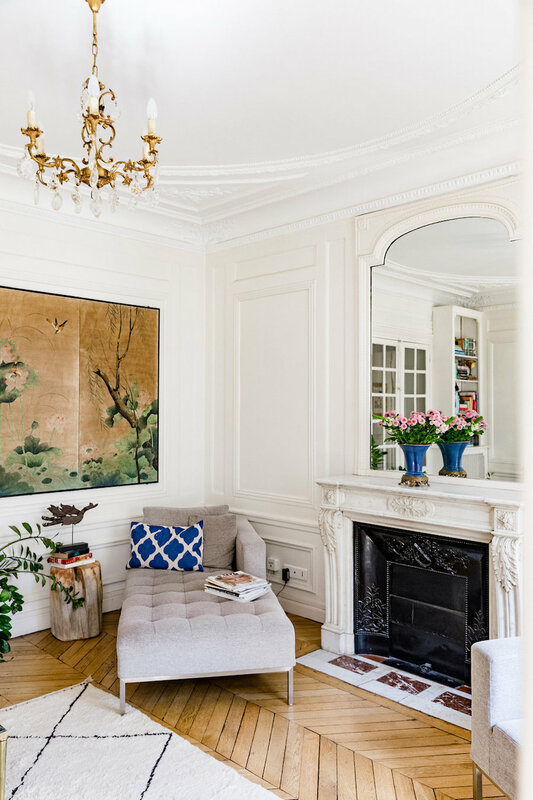 A classic location for a crystal chandelier is the living room, for sure! 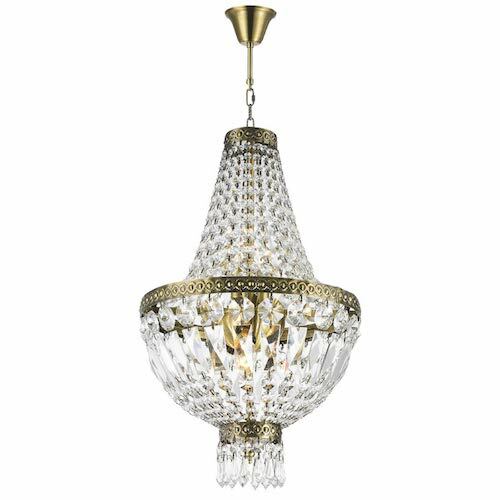 The dining room is an awesome place to hang a crystal chandelier. 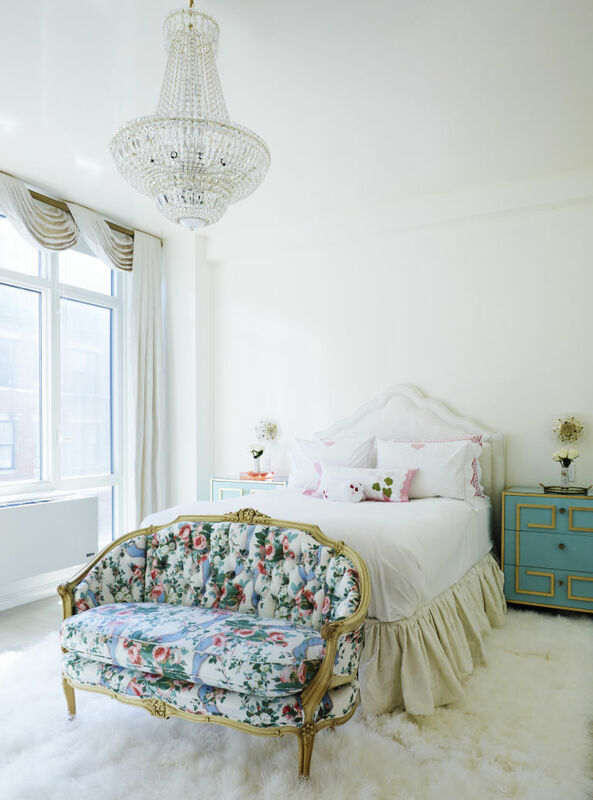 The ghost chairs compliment the chandelier even further! 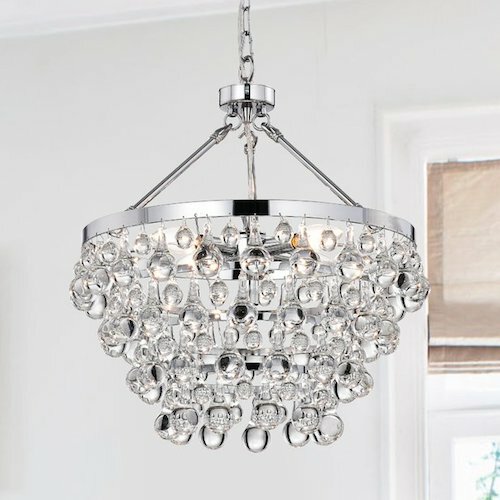 For the most ultra glamorous bathroom, just add a crystal chandelier! 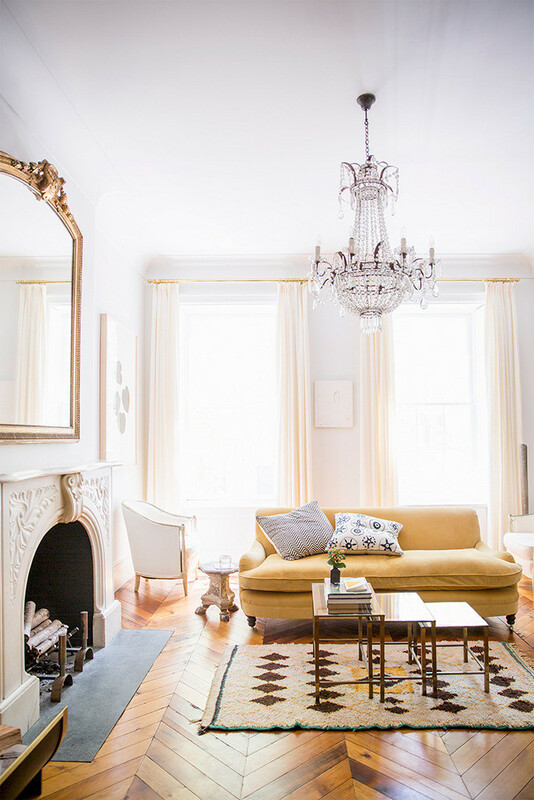 I hope this post inspired you to decorate your home with a stunning and classic crystal chandelier!